To examine the relationships between perceptions of neighborhood environment, sense of community, and self-rated heath, we recruited 1798 people aged 60 years and older living in Hong Kong. With reference to the checklist of the essential features of age-friendly cities developed by the World Health Organization, perceptions of neighborhood environment were assessed using a questionnaire covering physical and social environmental domains, which mapped onto “outdoor spaces and buildings,” “transportation,” “housing,” “social participation,” “respect and social inclusion,” “civic participation and employment,” “communication and information,” and “community support and health services.” Sense of community was measured by the Brief Sense of Community Scale. Self-rated health was assessed by a single question. The relationships between these measures were analyzed using partial correlations, multivariate regression models, and path analyses. The mean age of the participants was 71.7 years; of which 54.3% were women. 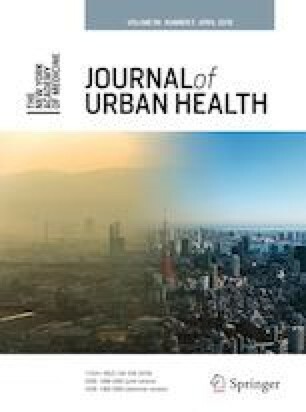 In multivariate regression models, perceived neighborhood environments were positively associated with sense of community and self-rated health. Among the domains of perceived neighborhood environment, “transportation” and “respect and social inclusion” were the physical and the social environmental domains most strongly associated with sense of community, respectively. In addition, sense of community accounted for part of the relationship between perceived neighborhood environments and self-rated health. The results of this study support the importance of perceived neighborhood environments for the sense that older person has of one’s community, and self-rated health of older people which may be enhanced through the improvement of neighborhood environments. The online version of this article ( https://doi.org/10.1007/s11524-018-00331-3) contains supplementary material, which is available to authorized users. The Jockey Club Age‐friendly City Project was supported by the Hong Kong Jockey Club Charities Trust. The authors thank the investigators, research associates and team members for the design, collection, collation, validation and management of the data used in this article. Further appreciation is extended to the participants for their contributions to the study.